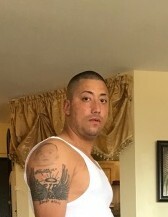 Obituary for Hector Baretto | Bell Funeral Home, Inc.
Hector Baretto Jr., 33, passed away on April 7, 2019 at Rhode Island Hospital surrounded by his loving family in Providence, Rhode Island. He was born on October 20, 1985 in Bronx, NY. Mr. Baretto was the son of Hector Barreto and Minerva Rivera. He was self employed and worked in the construction industry. Mr. Baretto was kind and loved his family. Mr. Baretto will be missed by many family and friends.